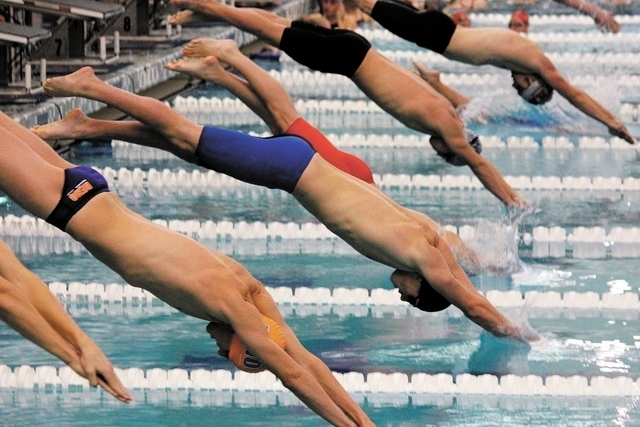 The four­-day Nevada State Short Course Swimming Championships in Henderson was another successful weekend for the Boulder City/­Henderson Heatwave amateur swim club, but this time there was some sadness. A handful of club seniors are near the end of their long careers with the club. 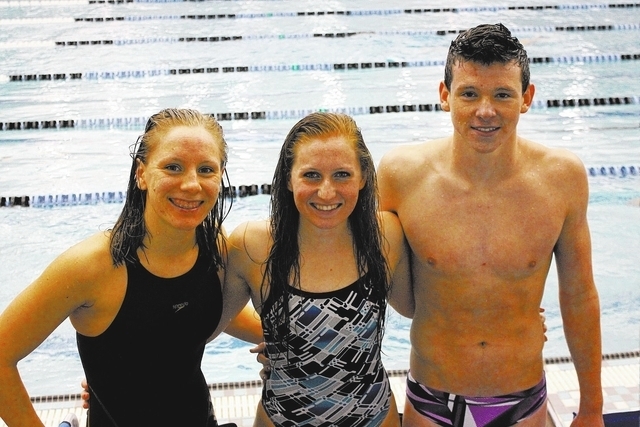 A few have already signed national ­letters- of-­intent to swim for a college; others await their fate after another national­ caliber swim meet in December. But they know is the end of their club days is nearing. Gebhart, along with Evan Klouse and Adam Peterson helped Boulder City High win several state championships and led the Heatwave to national acclaim. They have applied to several colleges and to the Naval and Air Force academies and are awaiting responses. “The training I’ve put into this season is already paying off,” Peterson said. “I am hoping that my success this past weekend and in the Chesapeake Pro­Am National Swim Meet in December will help me get into the one of the academies. In a signing ceremony at the high school Friday, Cori Molisee signed a national ­letter-­of-­intent to swim for New Mexico State University, while Rachael Grothe signed with University of Calgary in Alberta, Canada. Grothe agreed with her longtime friend. 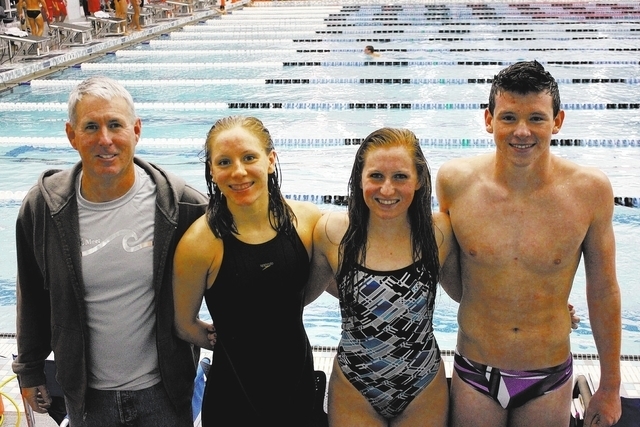 The state meet did not end Monday without several records falling to Heatwave swimmers. Senior Jared Smith, who signed a ­letter-­of-­intent with the University of Denver, broke the state meet record Sunday for the 15-and-­older age group in the 200 backstroke with a time of 1 minute, 48.87 seconds. Junior Alex Hubel broke the state’s 15-and-older age group record when she swam 50:47 seconds in the 100 freestyle. She broke the record Sunday morning in qualifying and returned in the evening competition to again set a new mark in the finals.